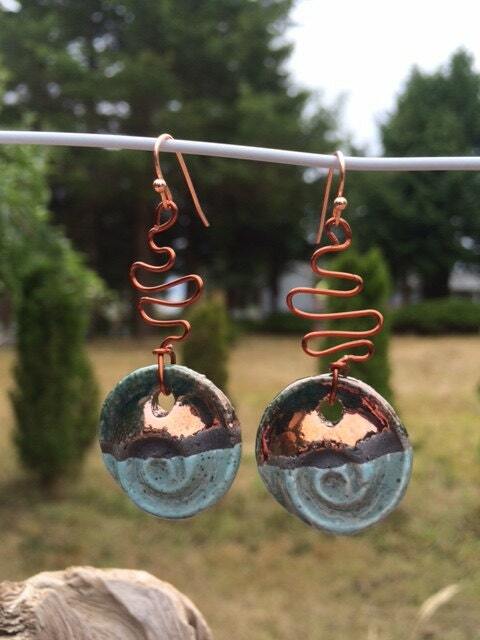 These Greek ceramic Raku and copper nautilus earrings are so cute! 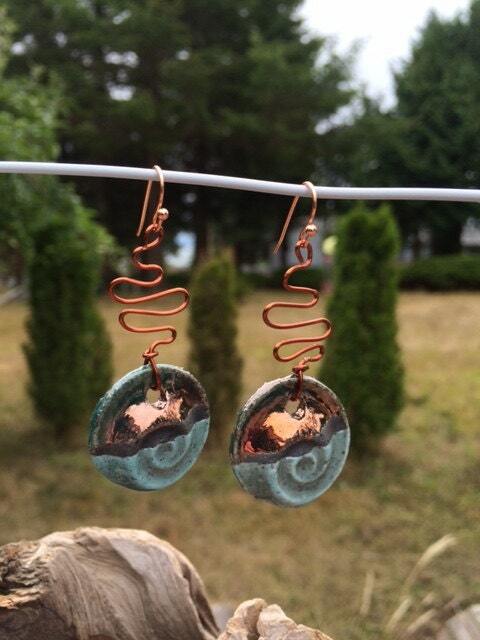 I created the copper wires for a unique twist. They are 2" long and the hooks are copper.